Is horse racing under threat? Easter Classic winner Victory Bond can make his first trip to Kempton a successful one in the Listed British Stallion Studs EBF Hyde Stakes. William Haggas’ all-weather champion proved that point on Good Friday when he was too strong for Master The World off level weights to scoop a first prize of almost £125,000 at Lingfield. The five-year-old has had just one run on the turf since, finishing sixth of seven in a Listed race at Ascot in early May. He is reunited with James Doyle for this fast-track qualifier return to his day job on the Polytrack, and his winning prospects were underlined for all to see just last weekend when Master The World emerged from a fallow summer to win Lingfield’s Churchill Stakes. Haggas’ Lincoln victor Addeybb was among those unable to deal with Master The World there, another endorsement of Victory Bond’s standing. His high-profile Lingfield win came over 10 furlongs, and all four career successes have come at further than the mile he faces here, but his running style indicates no issue with the slight drop in distance. Ian Williams has proved he is a man for all seasons and all surfaces, and he can illustrate the point again with Baydar in the 32Red Handicap. The five-year-old has been taking on exalted company of late on turf, and meets nothing quite with the potential of November Handicap winner Royal Line here. Baydar did well to finish less than six lengths behind John Gosden’s colt at Doncaster two weekends ago, and before that was outstayed by only favourite Arrowtown in a muddy York handicap over an extended two miles. A Lingfield maiden winner for Hugo Palmer as a two-year-old, his turf exploits have since taken over, but this return to the all-weather can pay dividends for his astute trainer. Delire D’Estruval beat two subsequent winners on his fencing debut and is confidently expected to follow up in Warwick’s Highflyer Bloodstock Novices’ Chase. Ben Pauling’s novice was slightly inconsistent but had some useful form over hurdles last season - and his hard-fought neck win over Stowaway Magic was a highly-encouraging start over fences. 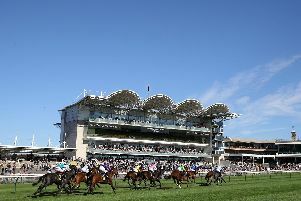 The five-year-old looks a useful recruit and can score again on the forecast decent ground over the minimum trip. Beat That is double Delire D’Estruval’s age, but was high class in his youth and has been back in good heart of late. He does not look over-burdened in the Smarkets Veterans’ Handicap Chase - and although he was no match for the impressive Exitas in a similar race at Aintree last time, Nicky Henderson’s 10-year-old acquitted himself well enough in second. Beat That twice landed the odds on quick ground in August and September, and is sure to remain competitive in prevailing conditions. It may be more of a slog up at Hexham, but that should not be a problem for the promising Hill Sixteen in the British Stallion Studs EBF “National Hunt” Novices’ Hurdle. Another to impress at Carlisle recently, when a respectable third and miles clear of the rest, Sue Smith’s winning Irish point-to-pointer looks sure to excel if kept to stiff tracks like this. Kilcullen Flem was fit enough to win on his seasonal debut here last year, and can repeat the dose in the John Smiths Handicap Chase. His course victory last October was on his first start for Philip Kirby, the first of two successes out of two at Hexham - because he returned in February to prevail over four miles. Back again at the same trip, he was a creditable fourth in smart company at Punchestown in April, and can outclass this opposition. Nigel Twiston-Davies has acquired some promising firepower among several young horses switched to his stable from Christian Williams’, by owner Dai Walters, and Juge Et Parti is another who fits the bill in the Angela Nettlefold Memorial Handicap Hurdle at Chepstow. The five-year-old grey has had just one run for his new trainer, sent off favourite but only sixth in a Hereford handicap seven months ago. He showed plenty of promise in four previous efforts, though, and can strike for the first time over hurdles. CHEPSTOW: 1.10 Juge Et Parti, 1.40 Time To Move On, 2.15 Glen Forsa, 2.45 Doctor Dex, 3.20 Le Coeur Net, 3.55 Mere Anarchy. DUNDALK: 6.30 Hasselnott, 7.00 Voyageofdiscovery, 7.30 Imposing Supreme, 8.00 Al Batal, 8.30 Sabrina Fairchild, 9.00 Rips Dream. HEXHAM: 12.50 Hill Sixteen, 1.20 Senor Lombardy, 1.50 Take A Break, 2.25 Kilkullen Flem, 2.55 Love At Dawn, 3.30 Le Frank. KEMPTON: 4.10 Raaqyah, 4.40 Open Sea, 5.10 Elamirr, 5.40 Deference, 6.10 Honest Albert, 6.40 VICTORY BOND (NAP), 7.10 Baydar, 7.40 Dalileo. WARWICK: 12.30 Didtheyleaveuoutto, 1.00 Pulling Power, 1.30 Faithfulness, 2.05 Delire D’Estruval, 2.35 Lightly Squeeze, 3.10 Beat That, 3.45 Bergamot. WOLVERHAMPTON: 4.50 Skyva, 5.20 Black Salt, 5.50 Carpet Time, 6.20 Home Before Dusk, 6.50 Emilene, 7.20 Lady Of Authority, 7.50 The Eagle’s Nest, 8.20 Glorious Emaraty.